Live at Ubisoft's E3 2011 Press Conference! Kotaku is ears-deep in French accents at the Los Angeles Theater, where publisher Ubisoft will be talking about its upcoming slate, Ghost Recon: Future Soldier, Driver: San Francisco, Assassin's Creed: Revelations and much much more. 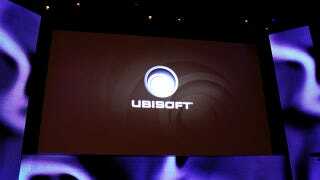 What else can we expect from Ubisoft at E3 2011? Well, would a new Brothers In Arms or a new Rainbow Six game interest you? We've heard that those games may be among Ubi's E3 2011 line up. We also expect some amount of madness from Ubisoft today, who always puts on an entertaining E3 show. Sadly, we won't have the comic stylings of Joel McHale to keep our energy up, but we'll soldier on in the liveblog below.